A bread poultice is made by mashing any type of bread into a liquid, usually milk, until the bread is fully soaked. It is a popular homemade remedy against infections, boils and the removal of foreign matter, such as splinters. A poultice is any soft, warm and moist substance that has medicinal purposes. It is derived from the Latin words, "puls" or "pultes", meaning "porridge." It is highly likely that porridge was the first poultice used in treating skin diseases, according to Natural Family Today. A bread poultice makes use of everyday household products - bread and milk. The steps in preparing a bread poultice are provided below. Place the bread (or a few bite-size pieces) in a bowl. Pour the milk carefully over the bread, just enough to moisten it. 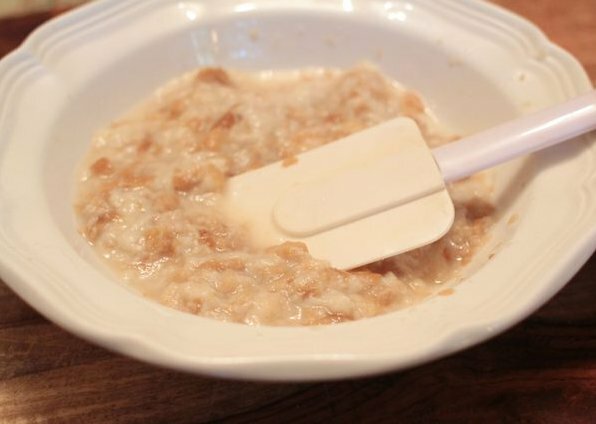 Mash the bread into the milk, either with a fork or the hands, until it is fully soaked and reaches a paste consistency. Apply generously over any affected area. The poultice should be administered directly to boils and allowed to dry. Until the boils rupture, application should be done twice a day. For removing splinters, apply the mixture directly to the splinter, covering it with a light gauze and leaving it until the desired results are reached. In treating infections, wrap the area with a gauze before applying the mixture and place another layer of gauze to secure the poultice. Keep the mixture on the skin until the bread cools, and apply the poultice whenever necessary.